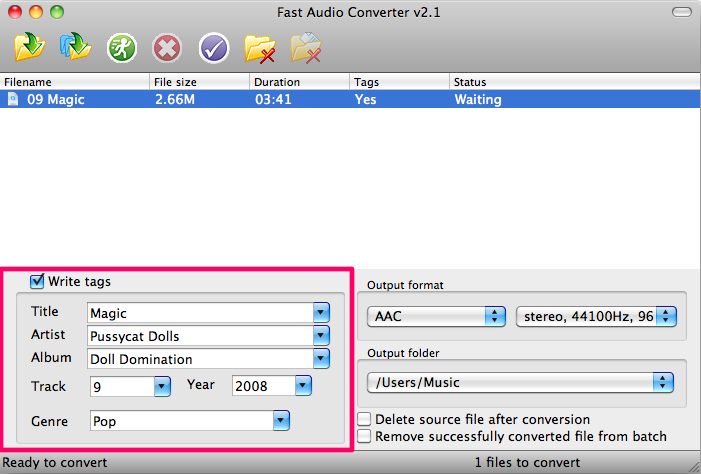 If you need to convert your WMA file(s) to MP3 format then you can do it easily with Fast Audio Converter. This guide will describe how to do this conversion step-by-step. All of these steps are simple for understanding. 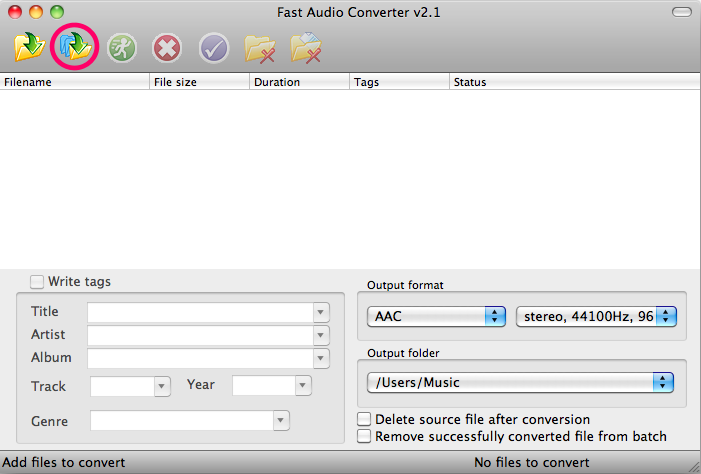 Fast Audio Converter supports Windows and Mac OS X. Choose installation file for your system and download it. Program saves settings for MP3 format and output folder. Thus, at next time there is no need to specify them again. Just add your WMA files for conversion and press Start button. Update 1 July 2018: This app is no longer supported. 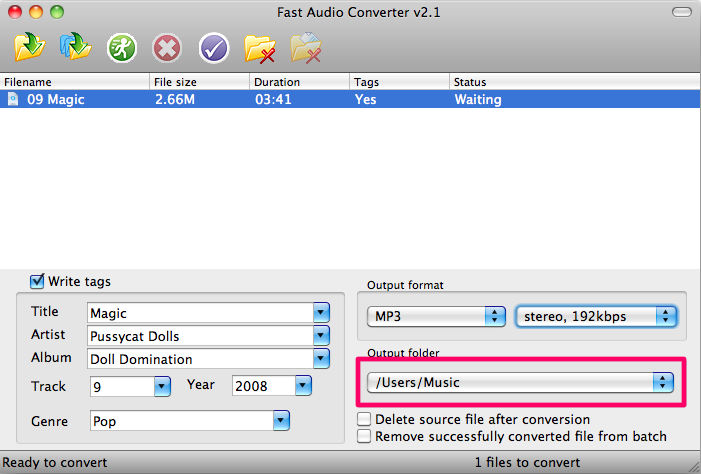 This guide is also quite outdated, for more recent version please navigate here: How to convert WMA to MP3. 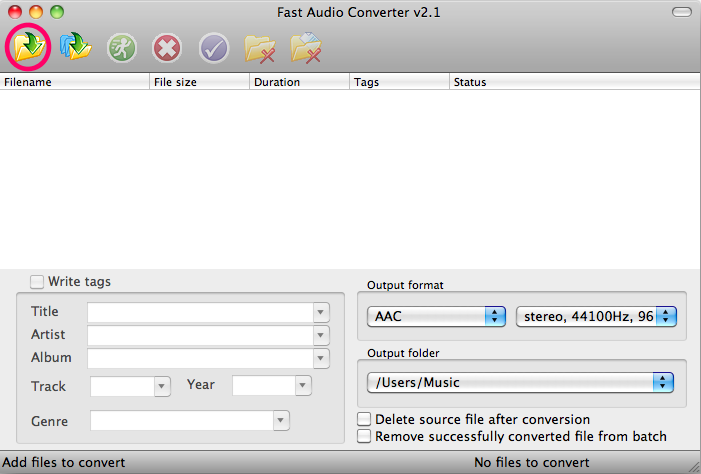 You need to download and install the Fast Audio Converter first. You can add one or more files. PressAdd file button on toolbar. It is first button. If you want to add folder with audio files press Add folder button on toolbar. Of course, Drag and drop is supported and you can use it to add files for conversion. After adding of WMA files you may look through its tag's information. And correct it if you want. 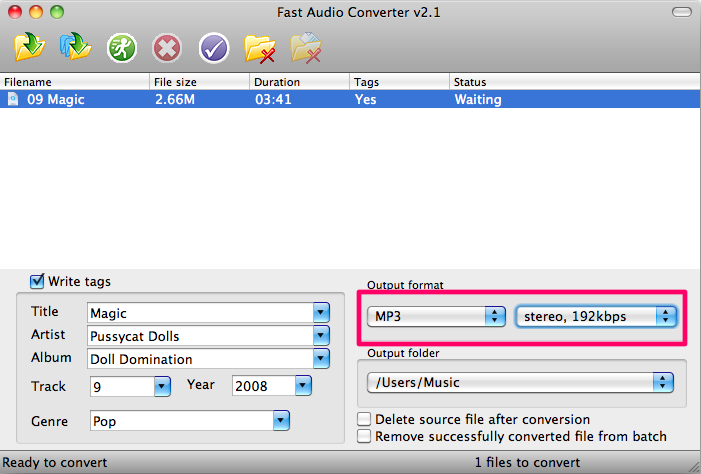 Now you need to select MP3 format and its settings. There are some predefined settings for MP3. You can choose one of them. Or you can define custom settings. 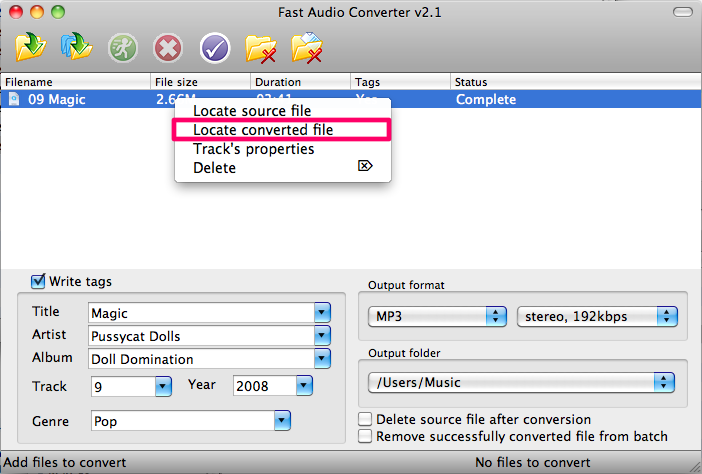 By default Fast Audio Converter saves converted MP3 files in subfolder Converted by LitexMedia of your Music folder. You can select another folder or set to save in source folder. When all these steps are done you need press the Start button to start conversion process. And have a rest while it is converting. Conversion has been completed. 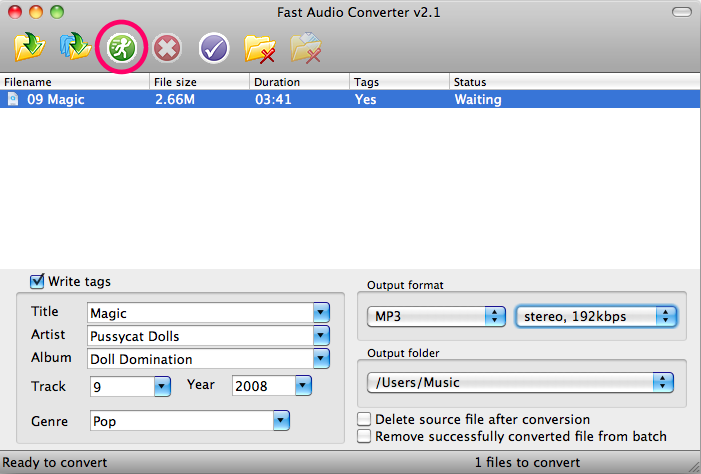 If you want you can access to converted MP3 easily. To do it right click on file which you want to locate and select Locate converted file in context menu. As you can it is easy to convert from WMA to MP3 with help of Fast Audio Converter.